Alexander was the heir to his cousin, the 18-year-old Emperor who had been murdered along with his mother Julia Soaemias, by his own guards, who, as a mark of contempt, had their remains cast into the Tiber. 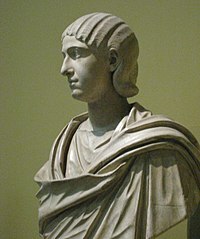 He and his cousin were both grandsons of the influential and powerful Julia Maesa, who had arranged for Elagabalus' acclamation as emperor by the famous Third Gallic Legion. 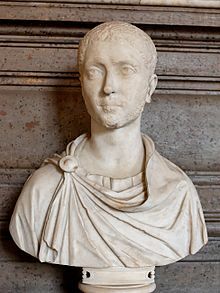 It was the rumor of Alexander's death that triggered the assassination of Elagabalus and his mother. 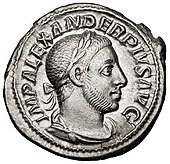 His 13-year reign was the longest reign of a sole emperor since Antoninus Pius. 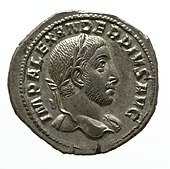 He was also the second-youngest ever sole legal Roman Emperor during the existence of the united empire, the youngest being Gordian III.